IN HER BOOK Daring to Drive, Manal Al Sharif wrote that a short drive across the Saudi Arabian city of Al Khobar changed her life forever. In 2011, Al Sharif, a divorced mother, who was tired of depending on drivers and cabs, took her brother’s car out for a spin. She was accompanied by her brother, sister-in-law and five-year-old son. The sister-in-law shot a video of the adventure, which Al Sharif was hoping to use to promote her ‘Women2Drive’ campaign. She was, however, intercepted and detained by the police during her drive, after which her sister-in-law posted the video online. It brought the attention of people across the world to Al Sharif’s act of rebellion. The 39-year-old Al Sharif, who is her country’s first woman cyber security expert, now lives in self-imposed exile in Sydney, Australia. “I hope no woman will ever again be jailed for the simple act of driving a car. 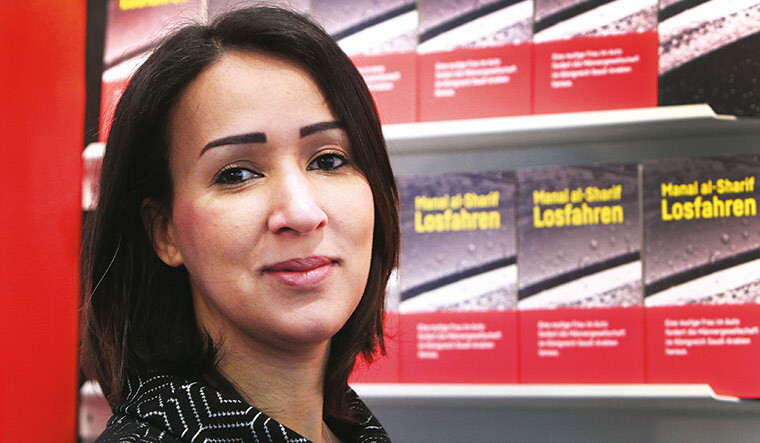 Driving is only the start to end other unjust laws, which treat Saudi women as minors, not trusted to direct their own destiny,” wrote Al Sharif in her book, which came out in June 2017. In 1990, as many as 47 women had been arrested for defying the driving ban. Many of them lost their jobs, and their families were harassed. Then, in 2011, Al Sharif began the ‘Women2Drive’ movement, which reignited the campaign. There were more campaigns, including the one started by blogger Eman Al Nafjan. In 2014, activist Loujain Al Hathloul tried to drive into Saudi Arabia from the United Arab Emirates, and Saudi journalist Maysaa Al Amoudi came to the border to express solidarity with her. Both were put in jail for 72 days. Al Hathloul, 28, contested the municipal elections in 2015, but was again arrested before the June 23 event of Saudi women driving for the first time. Al Amoudi is now working in the US. Repealing the driving ban coincided with the arrest of women’s rights activists. The revolutionary move has, therefore, been a bittersweet experience for the Saudi women, especially those who fought for it.